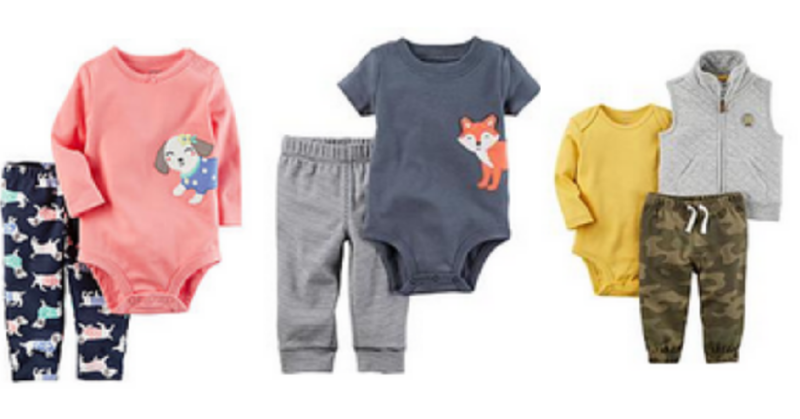 Head to Sears to save on baby clothes! Shop You Way Rewards members can get $25 back in points when you spend $50 or more on select clothing including select Carter’s clothes. Qualifying items will be marked “Spend $50, Get $25 Cashback in Points”. Be sure you are logged into your Shop Your Way account before making your purchase. Also, do not use points when paying for your purchase or you will likely not earn points in return. (8) Carter’s Outfits Priced at $5.97 ea. (1) Carter’s Outfit Priced at $3.97 ea.